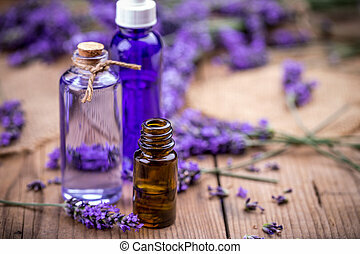 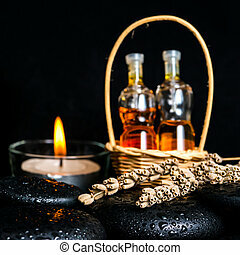 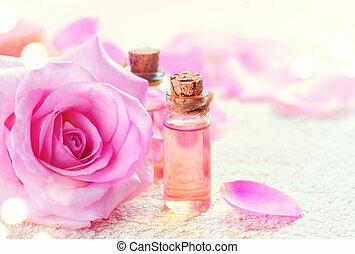 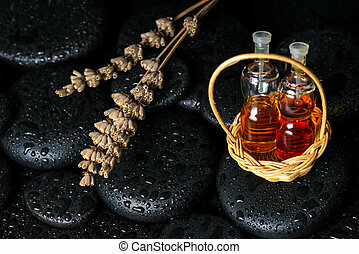 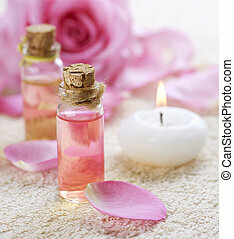 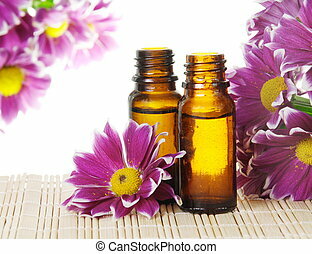 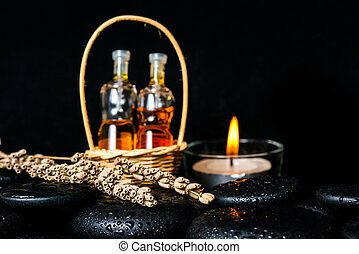 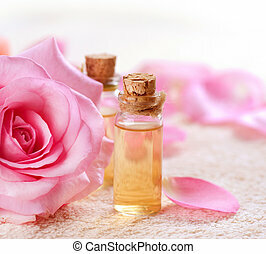 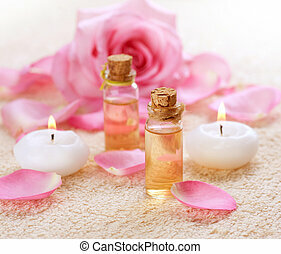 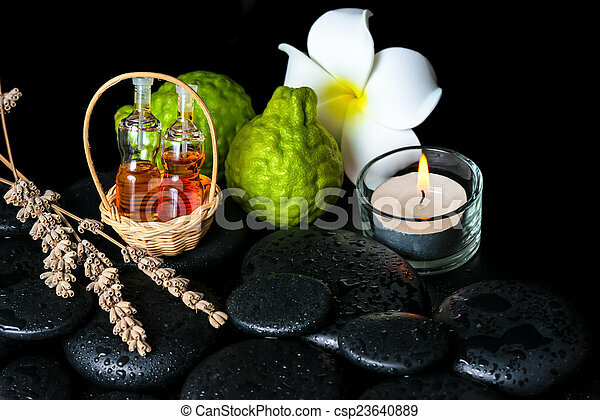 Aromatic spa concept of bottles essential oil, bergamot fruits, plumeria flower, candle and dried lavenders on zen stones. 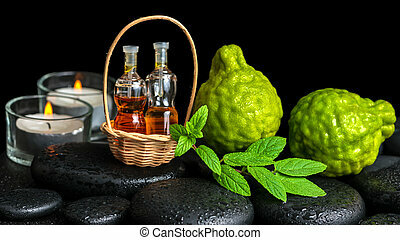 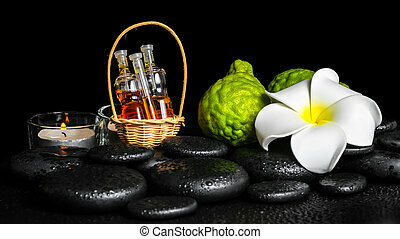 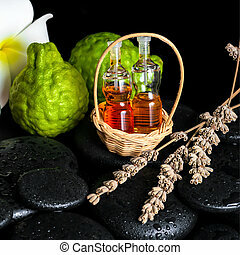 Kaffir lime or bergamot with aromatic spa of bottles essential oil on sack background. 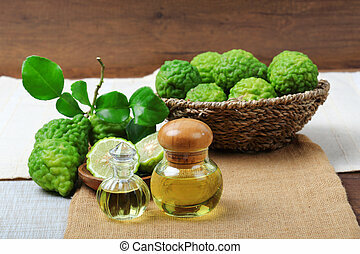 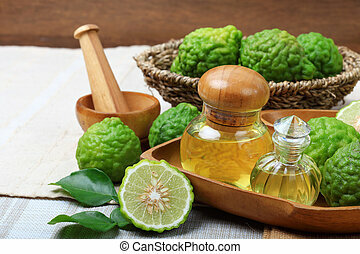 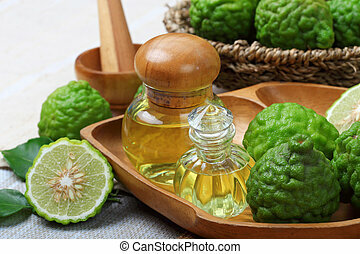 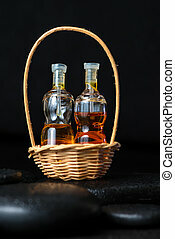 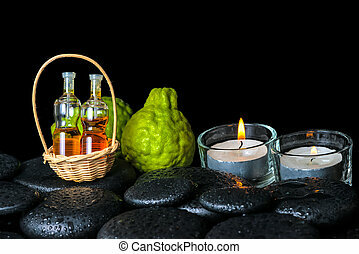 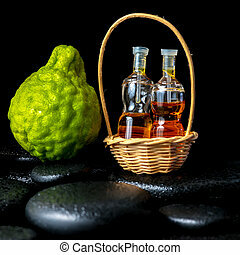 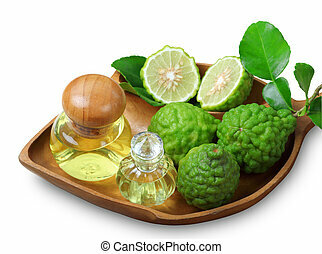 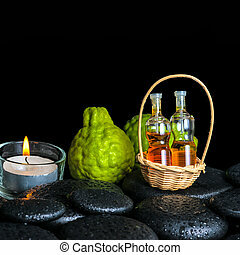 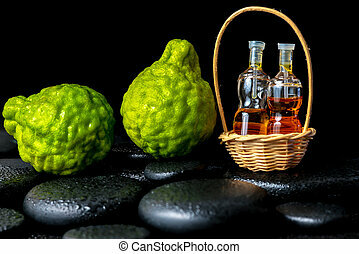 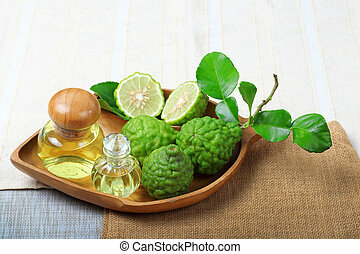 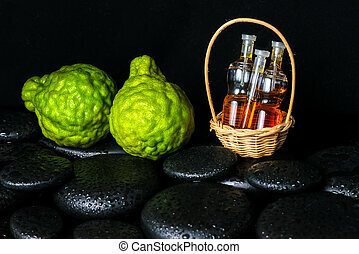 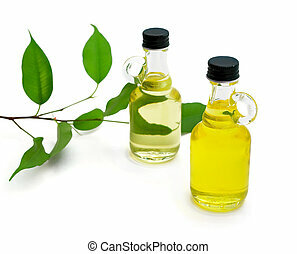 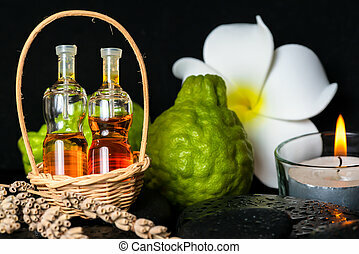 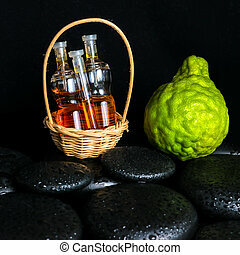 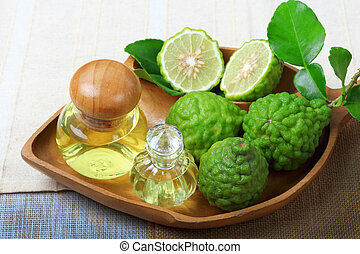 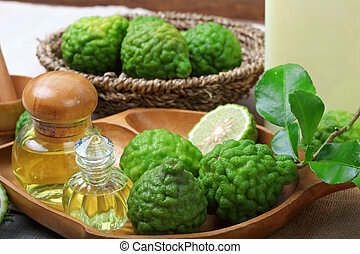 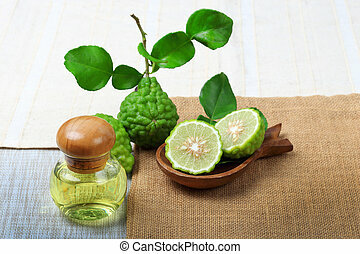 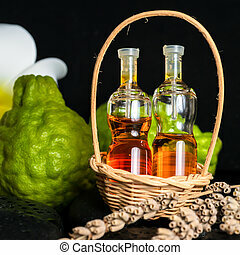 Kaffir lime or bergamot with aromatic spa of bottles essential oil isolated on white background, clipping path.